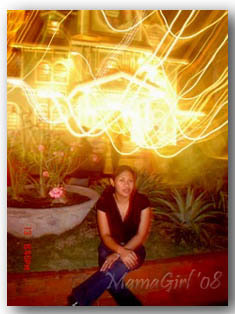 Ang Payag ni MamaGirl: Wordless Wednesday #28: Ghosts? My blog Ang Payag ni MamaGirl has moved! 30-something mom juggling a career in motherhood and development work. Currently based in Mombasa, Kenya working as a VSO Volunteer advising a local farmers cooperative. Wordless Wednesday #26: All okay here, Mama! This is my entry for the Tuesday and Wednesday edition of Wordless Wednesday. Most definitely ghosts! Very beautiful. What a cool picture! Love the effects! Love the effects in this picture! Here is my post for today, and here is my "Where were you" game. Do you want to play?